The best 100% polyester woven double jacket hose with a high grade single-ply extruded EPDM rubber lining. Hose comes coupled with internally expanded, male and female, national standard thread, aluminum rocker lug couplings. 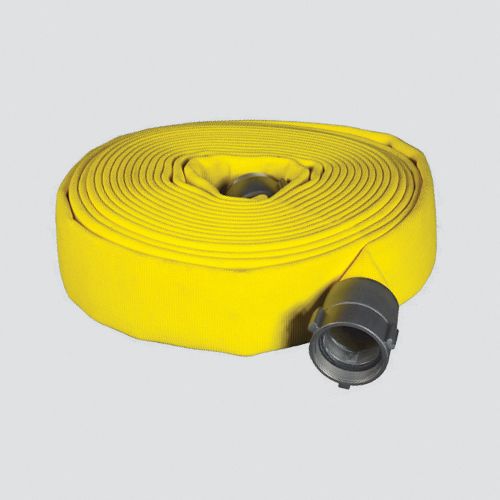 This hose meets NFPA 1961 requirements for attack grade fire hose, and is therefore a great choice for Emergency Fire Protection. It coils tight for easy storage and is mildew resistant.